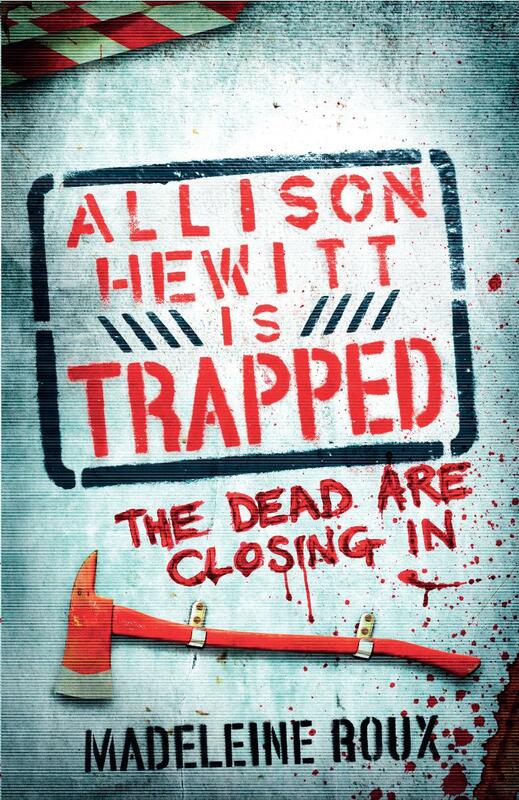 Allison Hewitt is trapped. In the storeroom of Brookes & Peabody's. In a world swarming with the Undead, the Doomed, the Infected. Locked away with an oddball collection of colleagues and under siege, Allison takes advantage of a surviving internet connection and blogs. She writes, as the food runs out and panic sets in, as relationships develop and friends die, and as zombies claw at the door, all in the hope of connecting with other survivors out there. But as she reads the replies to her posts, Allison begins to comprehend the horrifying scale of the damage. And when no one comes to the group's rescue, they are forced to leave the safety of their room and risk a journey across the city; streets that crawl with zombies, and worse - fellow humans competing for survival. It's no secret that I absolutely love zombie books (and movies, of course) and when I have the awesome luck of coming across a story that totally captivates me from the very first page, I usually can't tear myself away from it. It's a good thing I got started on this book during this Easter break, because it totally consumed my whole day! Seriously, I started it in the morning and then ended up staying up until 2am because I couldn't put it down. 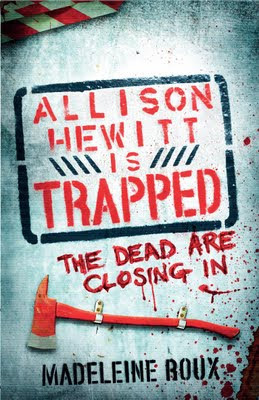 Allison Hewitt is a bookstore clerk who happened to be at work when the whole world turned upside down and the infected--Groaners and Floaters--destroyed everything. Forcing her, a few workmates, and customers to barricade themselves inside the break room. Where they watch the days tick away without anyone coming to their rescue, eating junkfood, and logging onto the internet so she can update her blog. They figure out pretty early on that no one's going to save them. If they want to survive, they'll need to help themselves. And so they do. Allison's survival instincts switch on pretty much instantly, and she leads this group of misfits away from the store and to the apartments above it, hoping to be in a better and safer position. But their survival is filled with obstacles and trouble they didn't expect. Before long, they find themselves once again moving, and heading to the University campus, following the kind voice she hears on the radio in hopes of finding a place with other humans and a better chance at survival. I loved everything about this book. I thought the blog format was unique, and really worked for this story. As Allison makes her way across the new landscape of a world destroyed by zombies, she not only tries to stay alive, but never gives up hope of finding her mother. Her blogging helps inspire others who read what she's got to say and share their own horrible experiences. Every single character in this book felt real and adapted to this broken world in whichever way they had to, but none showed more growth than Allison. She's an amazing narrator who did whatever she had to in order to make it out alive. I also enjoyed the fact that there was a little taste of romance, relationship complications, betrayal, true friendship, loyalty, humour, and danger at every turn. Oh, and Dapper was awesome! One of my favourite things about zombie stories is how they deal with the humanity of it, how humans behave badly and selfishly no matter what's going on, and this book showed us a very nasty side of humanity. I loved it! I've got only great things to say about this book. It's a keeper. One I haven't stopped thinking about since I finished. One that will live on my bookshelf forever. I loved it!